A healthy forest provides habitat for wildlife, clean water and air, recreational opportunities, and economic vitality to families. Healthy forests are important to our Maine way of life. Maine’s 18 million acres of working forests comprise the largest stretch of nearly unfragmented forest in the eastern United States. For nearly 400 years, Maine’s forests have supported a diverse forest economy while also providing numerous public benefits, including outstanding recreational opportunities, a world-class trout fishery, fall foliage viewing, and tourism. This is testament to the hard work and care of private woodland owners, who own 95 percent of Maine’s forest land. 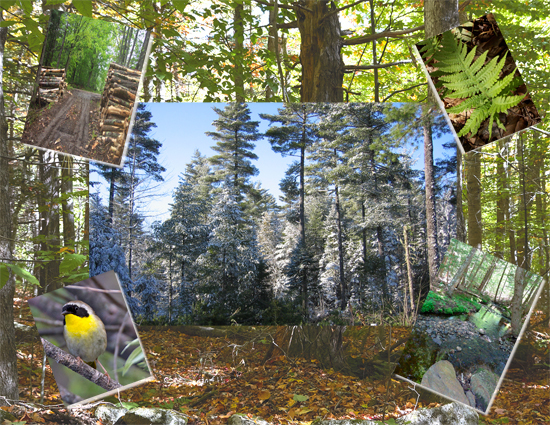 The state has a variety of policies and programs that ensure the continued health and wise use of Maine’s forests. These include a robust forest inventory and monitoring program; strong woodland owner, logger, and forester education programs; tax incentives; and, forest practices regulations. Nearly all of the largest forest ownerships have received independent third-party certification of their good management, and over two million acres participate in the state’s progressive outcome based forestry program. Taken together, these policies and programs ensure that Maine’s forests will continue to provide all of the benefits people value far into the future. When you buy Maine wood, you can be assured that you’re buying quality and helping sustain the state’s well-managed forests. Timber harvesting, when properly planned and carried out in a sustainable manner, is a very effective way of maintaining and improving forest health. See how the Maine Harvest Satisfaction Survey can help woodland owners achieve excellent results when they harvest timber on their land. Have you recently had a timber harvest?